A funeral directors in Solihull has modernised its fleet by purchasing a bespoke Jaguar hearse with financial guidance and support from Lloyds Bank Commercial Banking. Founded in 1856, C Bastock (Funeral Directors) is a family business that has been passed down through seven generations. The firm, based in Olton Hollow, recognised the need to enhance its fleet and decided to invest in a Pilato Jaguar Hearse made in Italy. The vehicle combines British engineering with Italian design and is currently the only one of its kind in the UK. The firm approached banking provider Lloyds Bank, which offered a competitive foreign exchange rate and financial advice to ensure a secure and cost- effective overseas transaction and safe delivery of the vehicle. 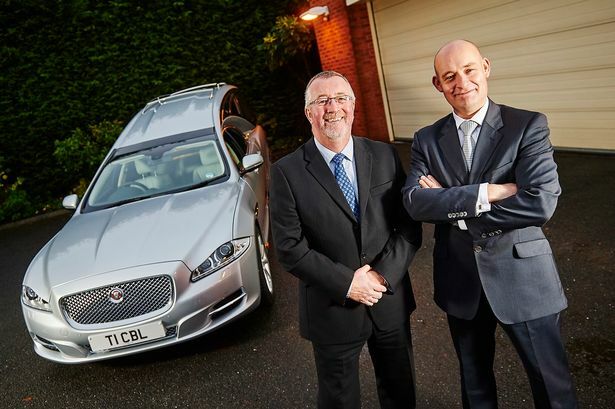 The business, which also has an office in Yardley, now has plans to further expand its offering with additional Italian-designed Jaguar limousines in 2015. Managing director David Bastock, said: “We wanted to keep our vehicle choices up to date and be able to offer something different but, having never dealt with businesses overseas before, we were apprehensive about making such a large transaction in foreign currency. Nick Palmer, relationship manager at Lloyds Bank Commercial Banking, said: “C Bastock is a well-respected business in the Solihull area and has held a solid reputation for its quality and personal services for over 150 years. “In order to maintain this high standard and benefit its clients, it is important for the business to continually invest in new ways of modernisation, but we understand that trading abroad can often be daunting.